This is a fun file folder activity for early-finishers to reinforce wants vs. needs. Students will classify images as either wants or needs. Some images could be classified either way, so ask students to explain their decisions. 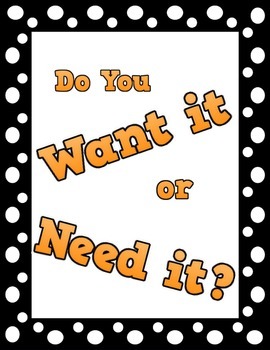 Looking for more wants vs. needs resources? Check out my Wants vs. 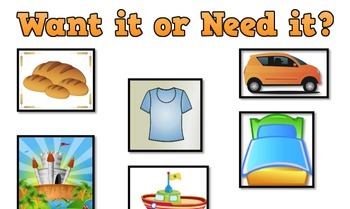 Needs Activity Bundle instead, which includes this lesson as well as the Wants vs. Needs Classroom Market and Wants vs. Needs Picture Worksheet, all for a discounted price!